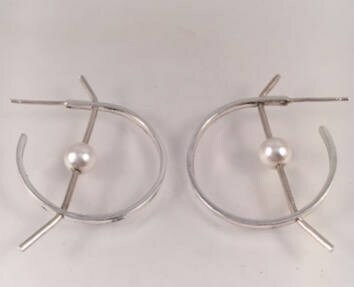 A pair of statement sterling silver and white cultured pearl hoop earrings with a novel geometric design. 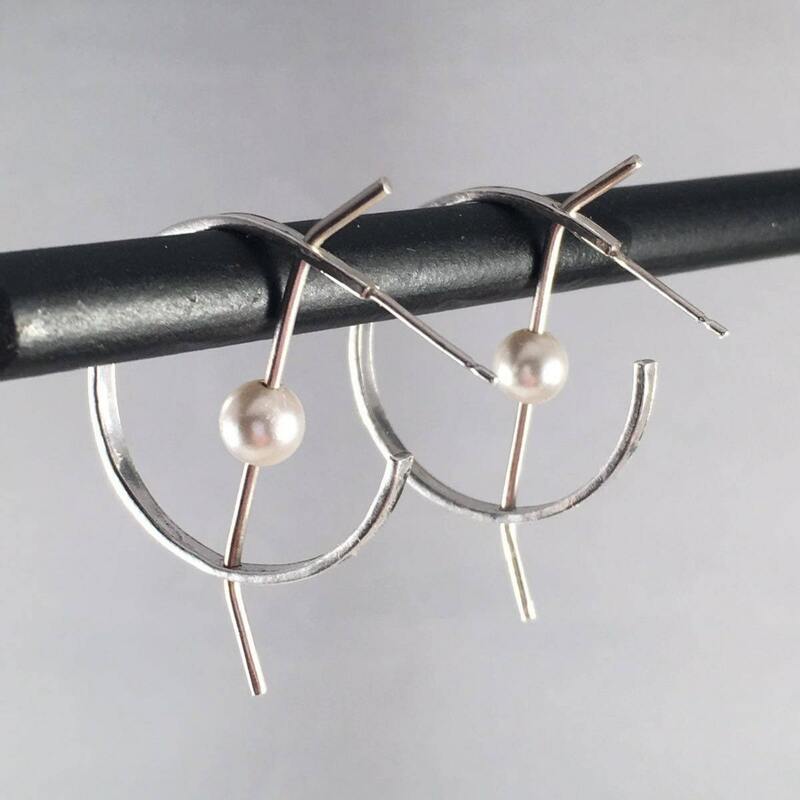 The earrings are made using rectangular silver wire which is drilled in two places to allow a length of round silver wire carrying a pearl to be threaded through. 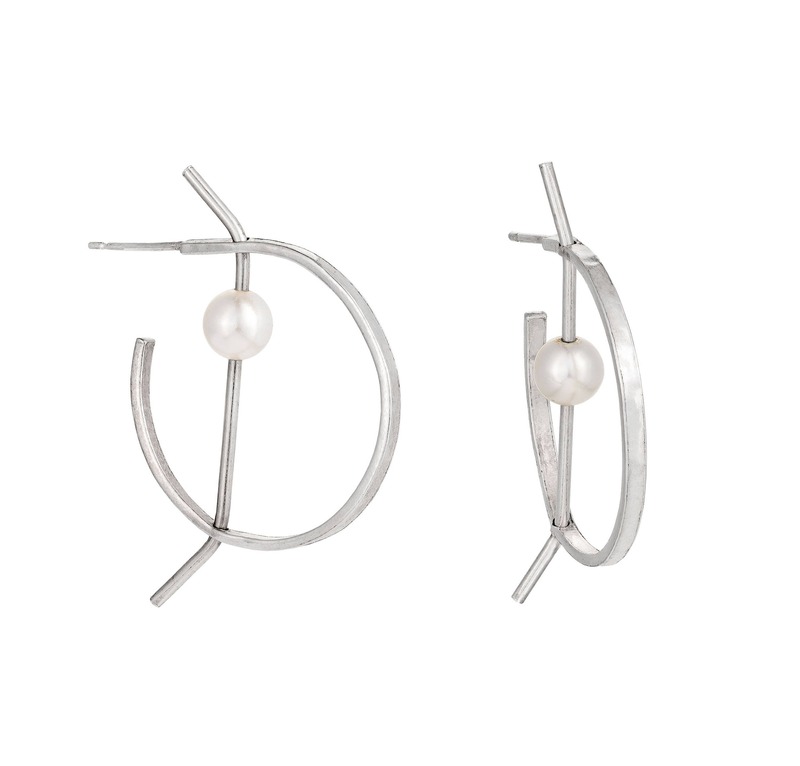 The white pearls can be replaced with black ones.